The Minority on Parliament’s Works and Housing Committee are grilling government for failing to release funds for the dredging of major drains across in the capital, Accra. According to Ranking Member on the Committee, Sampson Ahi, the Works and Housing Ministry in a brief last week complained about the ability to get drains desilted due to the failure of the Finance Ministry to release funds for that purpose. 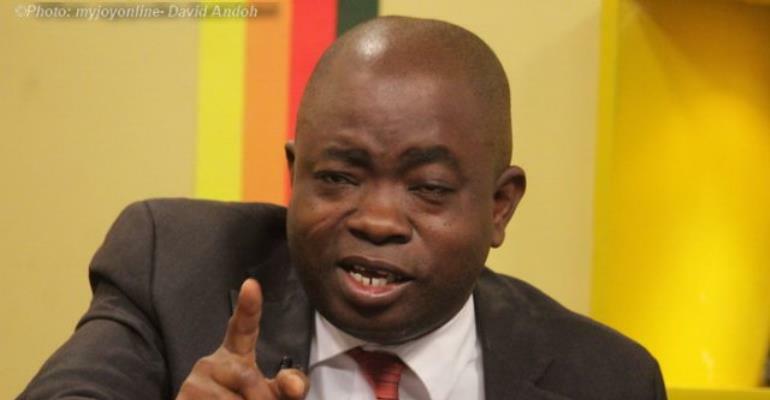 “The Committee met with the Minister and she complained about the fact that they are trying to get commencement certificates from the Finance Ministry so that they can undertake the desilting of major drainages in Accra,” Mr Ahi told Joy News’ Kwetey Nartey. He also blamed government for the recent drainage situation, stating that “before we [NDC] left office, we engaged Dredge Masters [company] to do major desilting of drains in Accra but when the government came they didn’t continue with the whole concept. “Had they continued, I am sure we would have had some improvement with regard the drainage systems in Accra but they terminated the contract,” he lamented. He wants government to, as a matter of urgency, release whatever money is required by the Works and Housing Ministry so that they can dredge major drains to allow the free flow of water. His comments come after at least three persons were confirmed dead in Accra following Sunday evening’s heavy downpour. The National Disaster Management Organization (NADMO), who confirmed the deaths to Joy News, said the fatalities occurred at different parts of the capital.